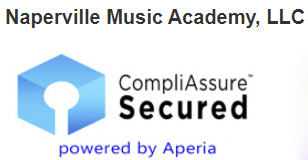 Dr. Sonja Mihelcic founded Naperville Music Academy, LLC, in 2009, after two decades of individual teaching experience. Dr. Mihelcic has been a teacher for the past 27 years, teaching students on elementary, high school, and college levels. She is a voice and piano teacher with great expertise in the areas of technique and style, and she continuously studies both disciplines in order to stay current with the latest developments. In vocal music, Dr. Mihelcic is an expert technician in all styles of vocal music and achieves fast and audible results with each student. In piano, Dr. Mihelcic devotes her attention towards developing solid technique, musicianship, and sense of musical style. She tailors her teaching style to the specific demands and goals of each individual student relying on the latest developments in vocal science, and piano pedagogy. In addition to helping her younger students in being accepted and receiving scholarships from some of the most prestigious schools in the country, Dr. Mihelcic helped a number of professional pop, country, classical, rock, folk, and musical theater singers to maximize their vocal potential, and confidently embark upon their professional music careers. Dr. Mihelcic is the creator of NMA syllabi for NMA Annual Exams in voice and piano. 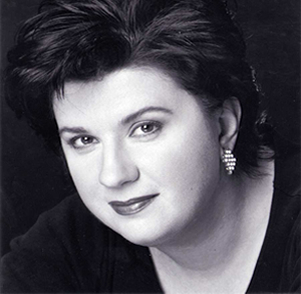 Dr. Mihelcic had a 15-year international singing career as a principal soloist, performing on the concert and operatic stages in the USA, Japan, Germany, Slovakia, Mexico, and Serbia. She is a member of various professional organizations, and currently serves as the Chair for Vocal AIM exams for Illinois State Music Teacher Association. She is on the board of Illinois State Music Teacher Association, and the Naperville Chapter MTA. In the past she served on the board of Chicago Chapter NATS, and she is a frequent judge at vocal and piano competitions. Dr. Mihelcic has founded the NMA with the intention of offering innovative teaching approach to music lessons, which would allow for both high quality of instruction and affordability. More than 300 regular students participate in numerous and unique programs offered exclusively at NMA. These programs include IMA Contest, IL state exams in piano, violin and voice, NMA Annual Exams in guitar, drums, piano and voice, and three performances per year These programs are not only fun and confidence building, but also helpful in the students’ future college application process.